This was the incredible fact that the first disciples came to realise was true after they thought that all had been lost. They had seen Jesus captured, tortured, crucified and laid in a tomb. All they had hoped for and believed in had been shattered. They had given up everything to follow Jesus but now there was no one to follow, or so it appeared. On that first Easter morning everything changed. The power of death and sin over mankind was broken forever because the perfect sacrifice had been made. Jesus’ resurrection was the tangible proof of what had occurred. 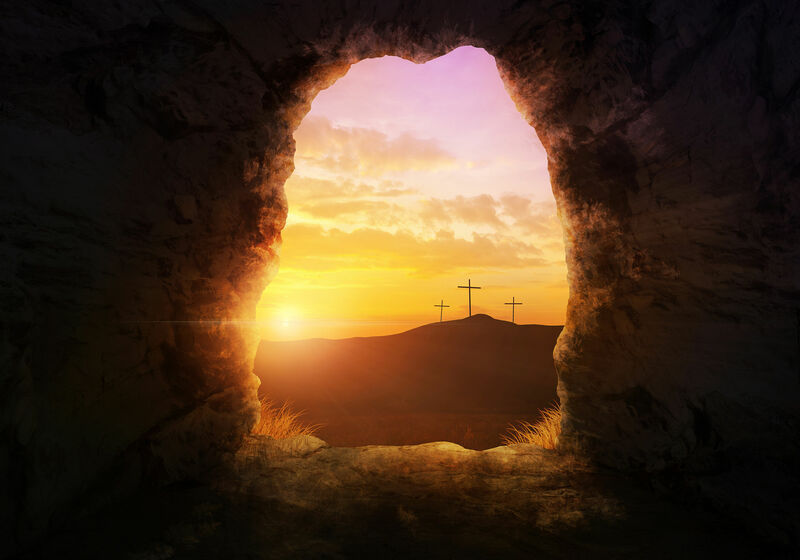 As the disciples struggled to comprehend what they had seen on Good Friday, with the reality of Jesus’ resurrection, everything changed for them. They realised that all they had hoped for and has believed in was true. All their doubts disappeared in the glorious realisation that Jesus really was who he said he was – the Son of God. There are times in all of our lives when our beliefs are tested and we have to face disappointment, but we live on the resurrection side of the cross. We can have an assurance that nothing can separate us from the love of God. ‘So, what does all this mean? If God has determined to stand with us, tell me, who then could ever stand against us? For God has proved his love by giving us his greatest treasure, the gift of his Son. And since God freely offered him up as the sacrifice for us all, he certainly won’t withhold from us anything else he has to give. We are considered to be nothing more than sheep to be slaughtered! Yet even in the midst of all these things, we triumph over them all, for God has made us to be more than conquerors, and his demonstrated love is our glorious victory over everything! I pray that over this Easter time our assurance and confidence in the work of the cross will grow stronger. Have a blessed Easter. Jesus is alive! !